Hotel Mas Pelegri is owned and by Girona Cycling S.L. (www.GironaCycling.com). We have over 100 different routes from the door. Hotel Mas Pelegri is between the pro test climbs Rocacorba and El Mont. You can enjoy the flatter routes to the Med, or the beautiful winding roads through the volcanoes or the rolling farmland of the land of the lake. Routes from 10 to 200 kms and everything in between. Everyone is welcome. All ages and fitness levels. GPS and route maps and emergency back up included with stay. 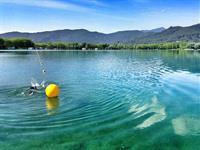 We offer triathlon guiding and coaching onsite at Hotel Mas Pelegri. 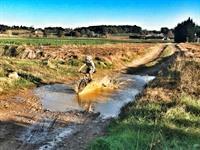 You can come self guided or join one of our training camps. We also offer individual coaching as required. Route maps, GPS downloads and emergency back up when cycling and running are included in every stay. Carbon road bikes with ultegra available onsite. 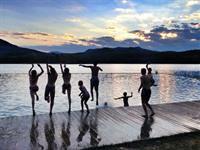 You can enjoy an active break enjoying the local activities in the area which include open water swimming, kayaking and rowing on the pristine lake of Banyoles. Canyoning and via ferrate with Aventura Girona. Ropes & Zip line course with Esportec. Quad biking and paintball with Fang Aventura. Kayaking on the river Ter and Fluvia and also along the Med. Enjoy and active holiday. All ages and levels are catered for. We customise your stay to fit your families requirements. There are off road routes, single track and gravel, right from the Hotel door. Many of the routes are graded depending on difficulty. We have easier routes for families and harder routes for professionals and everything in between. GPS routes and emergency back up are included in every stay. Hipica Equinatur has a range of horses to meet all levels of rider. 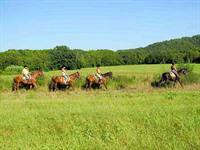 You can choose between going out on treks in the local countryside, enjoying jumping, western or dancing to music. There are local rivers that the horses love to splash and swim in. Open year round. Hay una gran cantidad de senderos desde la puerta. Rutas hacia el lago de Banyoles, Beslau o hacia el parque de la nación volcánica de la Garrotxa. Incluimos mapas de rutas, rutas de GPS y copias de seguridad de emergencia con cada estadía. 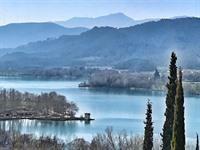 The lake of Banyoles is just 10 mins drive from Hotel Mas Pelegri and was the site for rowing for the Barcelona Olympics. 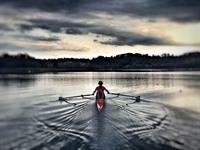 Come and row and kayak at a world class training centre.